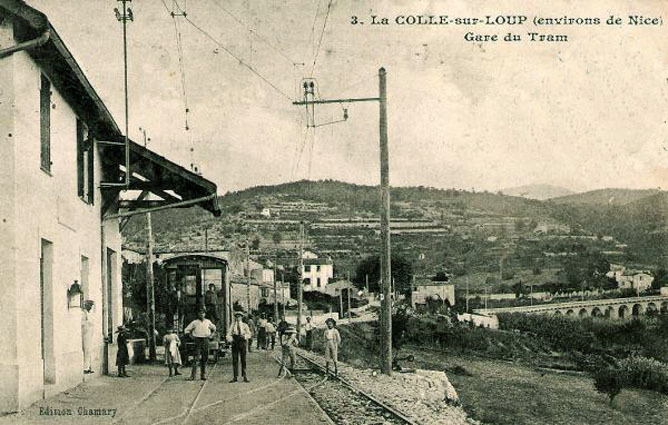 Work to construct a 12 kilometre tramway to Vence from the coast started in 1907. There were some problems during the construction of the Malvan viaduct and also some legal and political problems. These factors delayed the commissioning of the line until 30th December 1911. It was an expensive line to build and maintain. 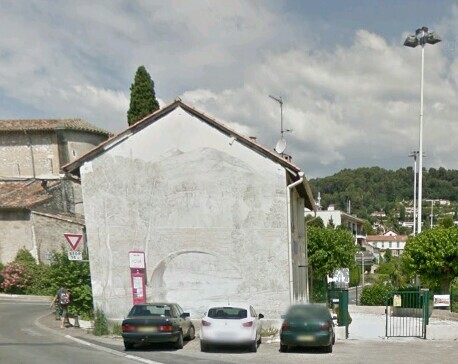 The line approached Vence from the south along Avenue Colonel Mayere, and entered the old town. 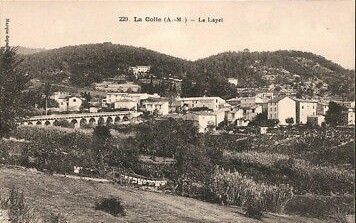 It followed Avenue Marcellin Maurel around the immediate Old Town. 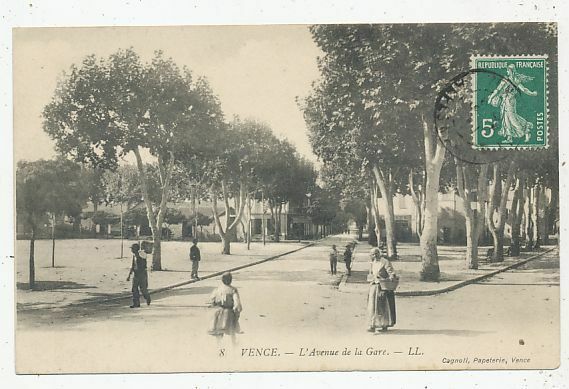 Old cartes postales show the tram station on Avenue de la Republique, the Place Nationale and Avenue de la Gare. 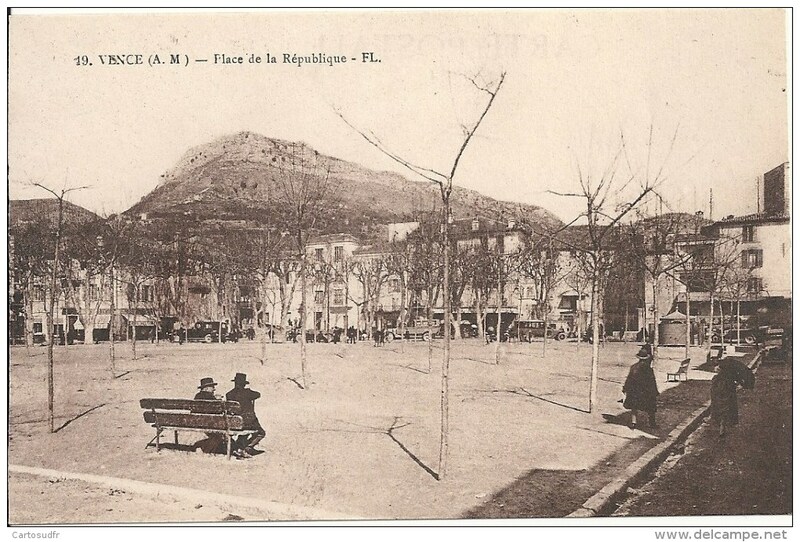 Interpreting these pictures suggests that they are taken in what is now called La Place du Grande Jardin in Vence. 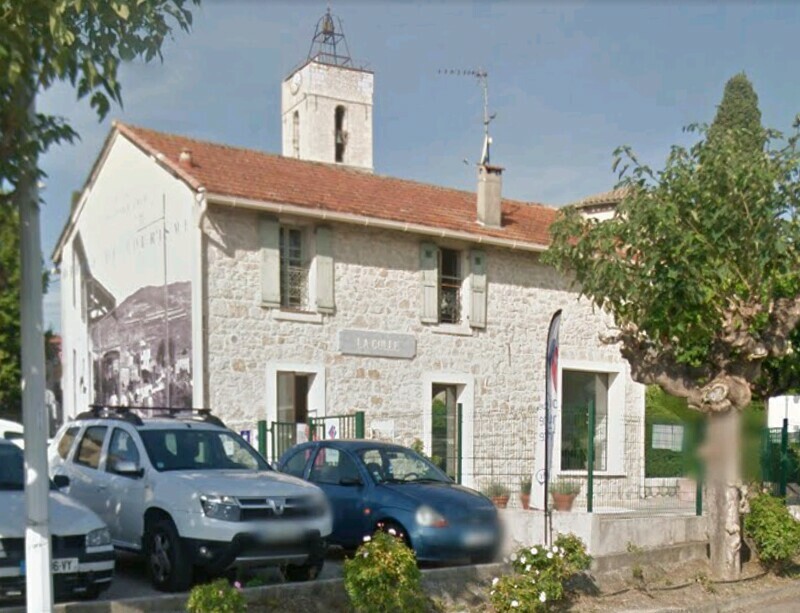 The pink line on the Google Earth screenshot above is the route of the Chemins de Fer du Sud Central-Var Line through Vence and the blue line shows the location of the tramway on the Cartes Postales. 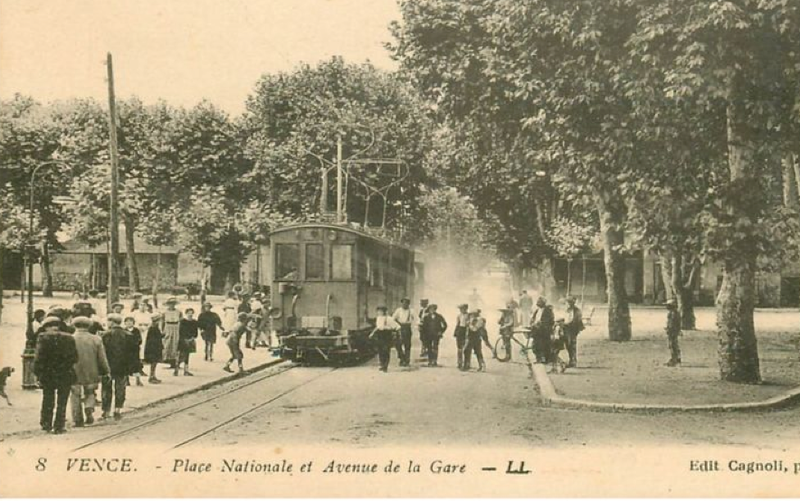 I have yet to find evidence confirms conclusively the alignment of the TAM tramway beyond the Place de la Republique, but there is evidence of a right-angle connect ion to a wagon turntable in the pictures of the Station. Hence the blue line approaches the pink line at right-angles above. 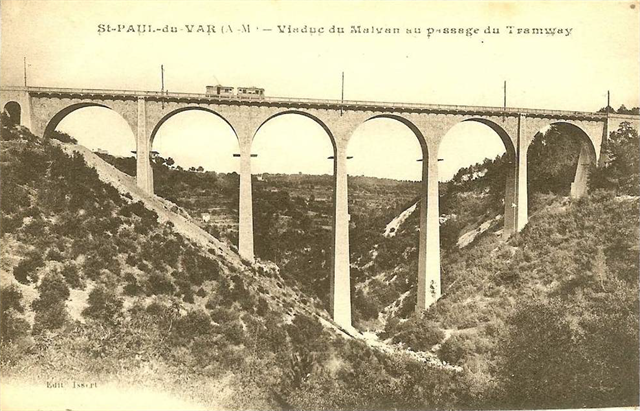 The Malvan Viaduct between Vence and St. Paul de Vence took its name from the river between the two villages. Construction took 4 years. 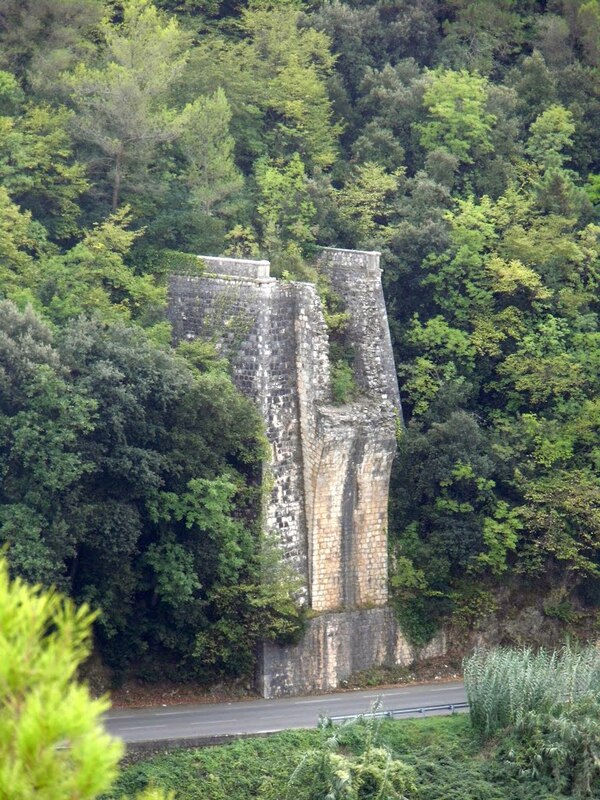 It was of traditional masonry constriction and can be seen in all three of the following photos. 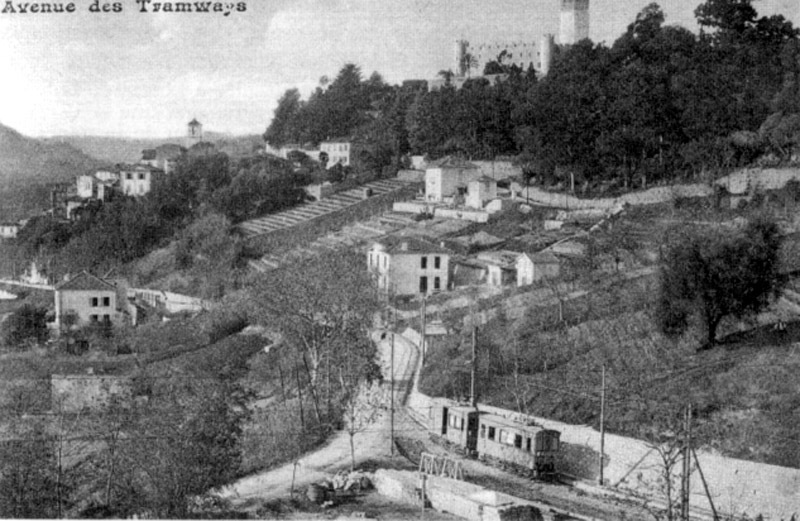 In 1924, an accident which left 17 wounded led to a growing distrust in the tramway as a means of transport. After just 13 years of operation people were suggesting that the line was unsafe and aging. However, the line remained in favour with many travellers and even withstood the first wave of line closures between 1929 and 1931. It did not last long! 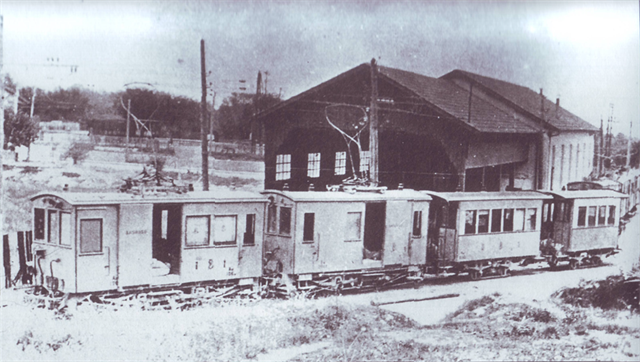 The formal closure took place on 31st December 1932. 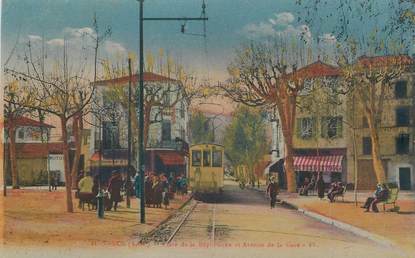 The last tram used the line on 4th January 1933. 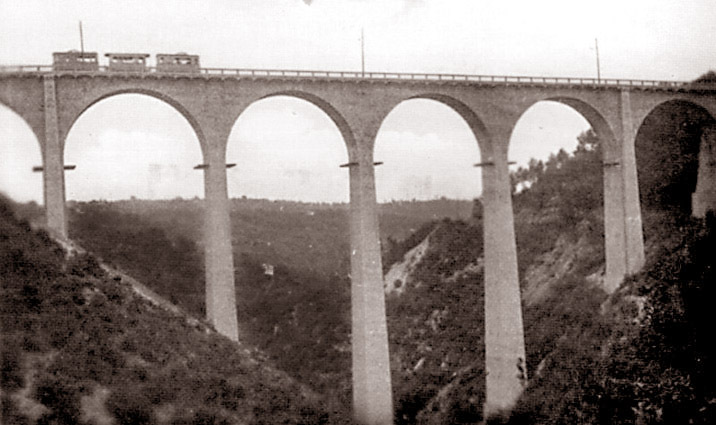 The viaduct was destroyed in WW11 and little remains … just the abutments! 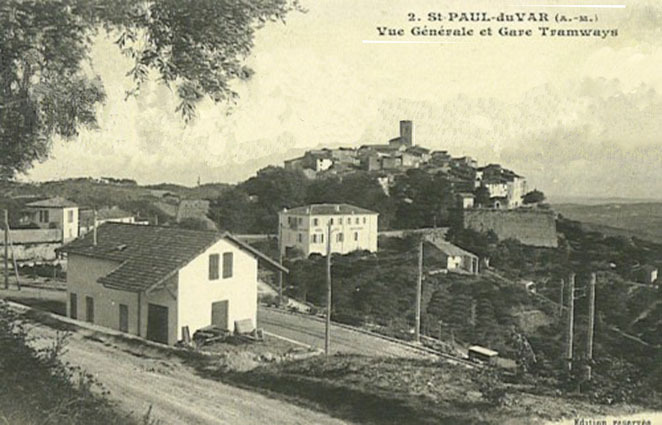 The carte postale below shows the tramway station for St. Paul de Vence. 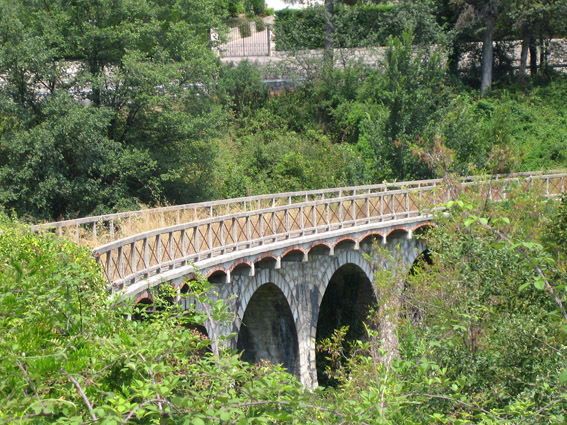 The colour pictures show a viaduct that is one of the few remaining vestiges of the line. 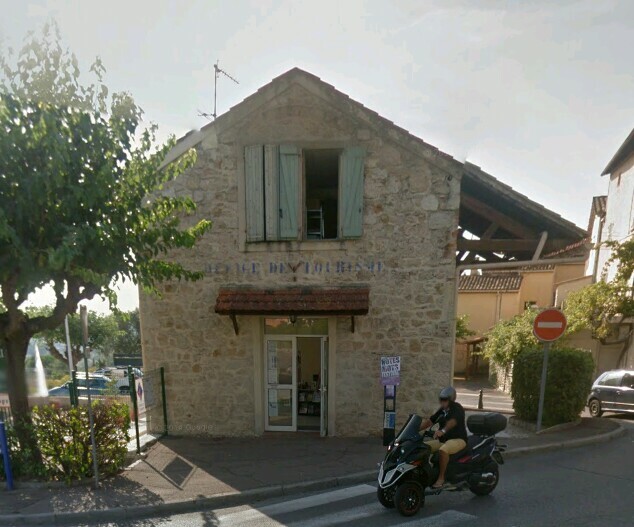 The second of these is cropped from a screenshot from Google Streetview. 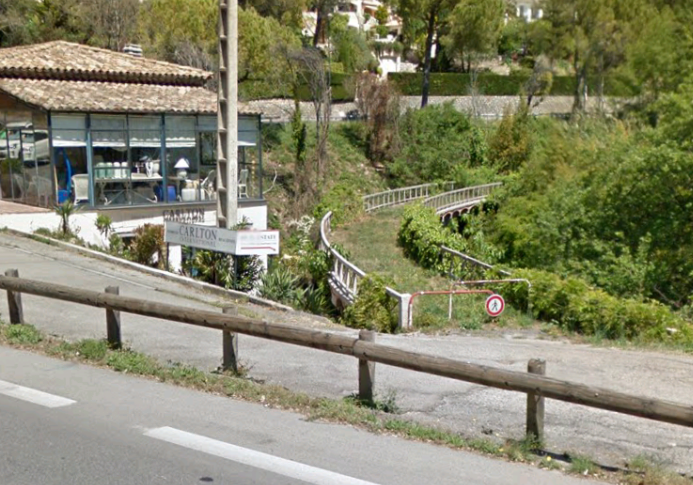 This short viaduct sits a!ongside the road from St. Paul to La Colle. 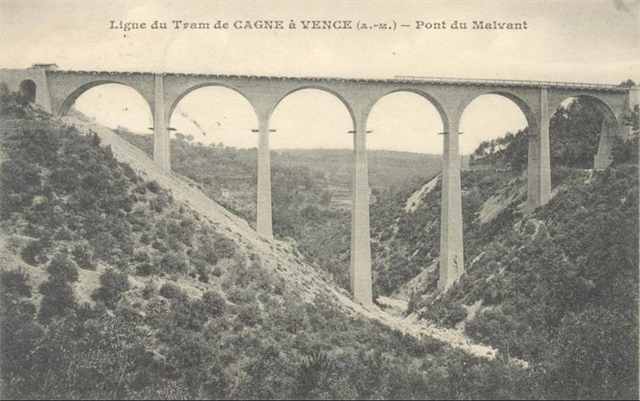 The monochrome picture below it shows a similar viaduct closer to St. Paul de Vence which I believe is no lon A length of the line can also be picked out (to the right-hand edge of the picture and running close to the road). 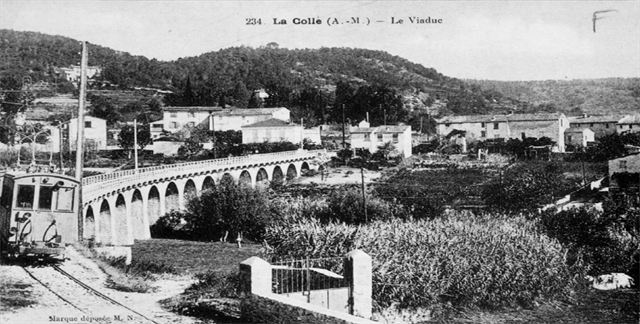 The line crossed another low viaduct before approaching the station at La Colle sur Loup. I could not did this viaduct and it appears that it has been swallowed up by earthworks for the modern day road. The station at La College is similar in construction to that at St. Paul. Much of the building still remains as can be seen in the photos below. 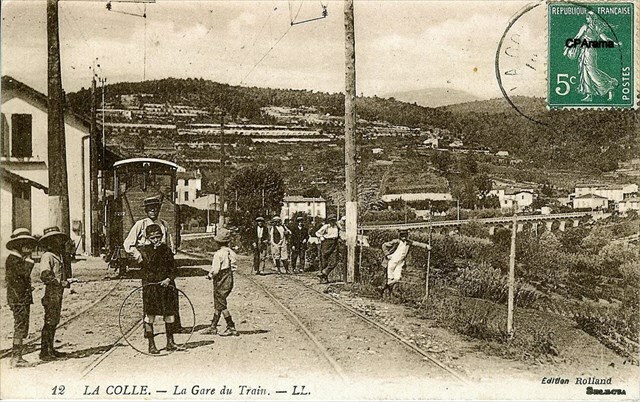 r After La Colle, the tramway followed the Avenue de la Colle south towards the coast and met the Grasse to Cagne-sur-Mer tramway in Villeneuve-Loubet. 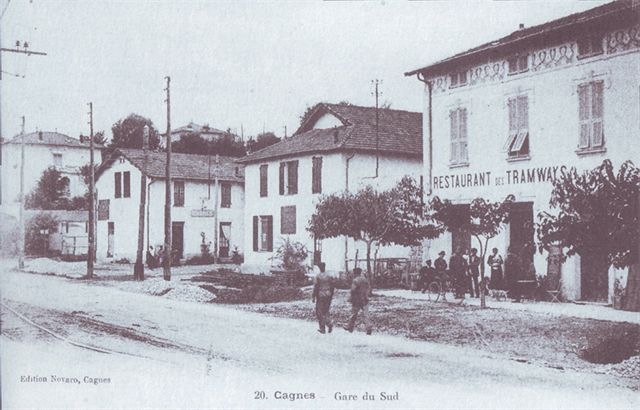 The route then continued along the Avenue de Grasse into Cagne. 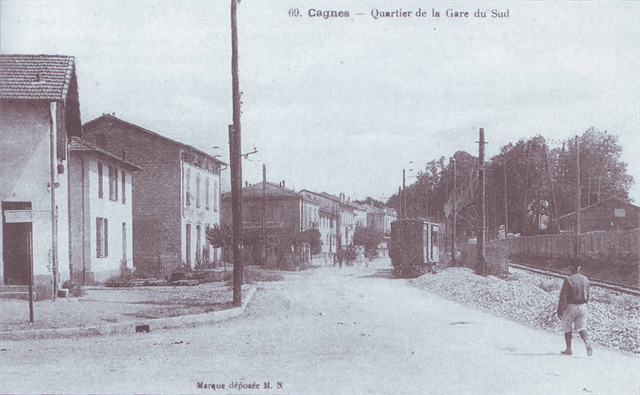 The terminus of the line was at the south-east end of the Avenue de Grasse. 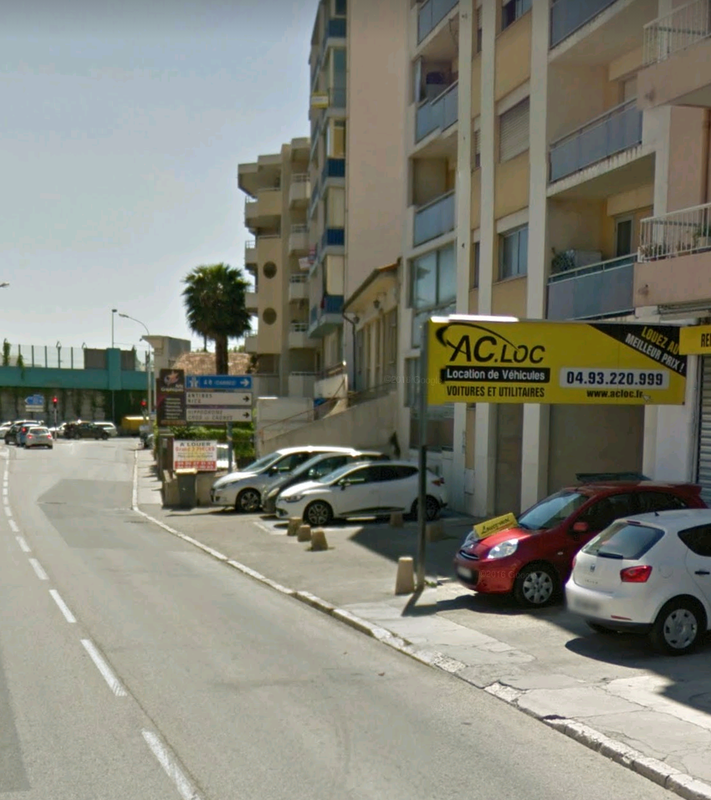 I believe that the more modern buildings in the next photograph were built on what was the tramway terminus. And finally a small bonus for persisting to the end of this post …. 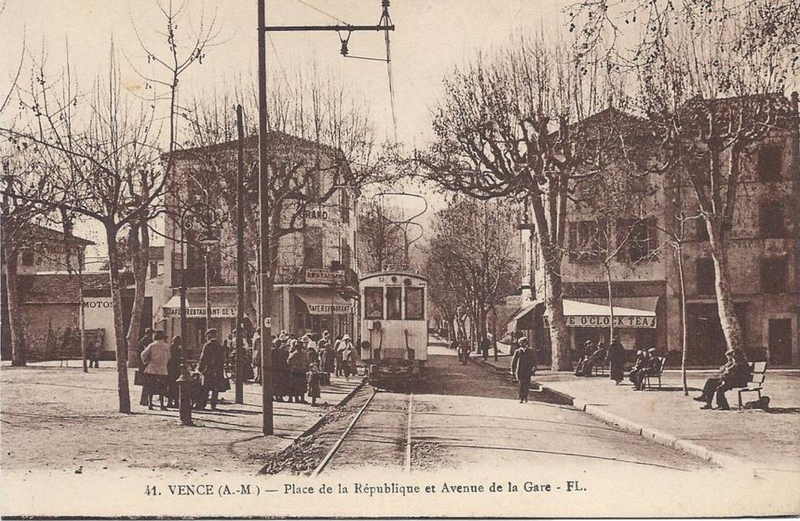 The tram from Vence to Cagne is the main actor of the final scene of one of Jean Renoir’s first films, “Catherine ou une vie sans joie”. 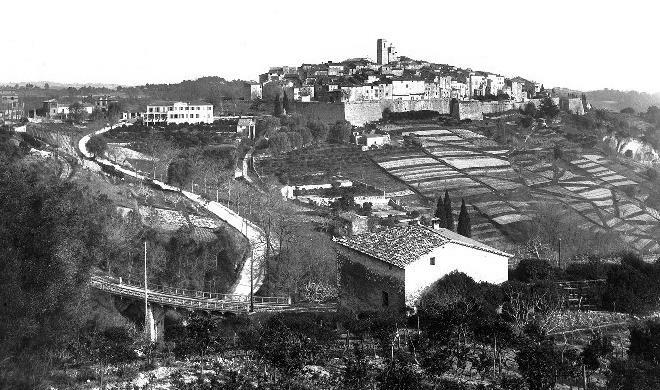 It is really interesting to note the condition of the road between Vence and Cagnes in 1924! 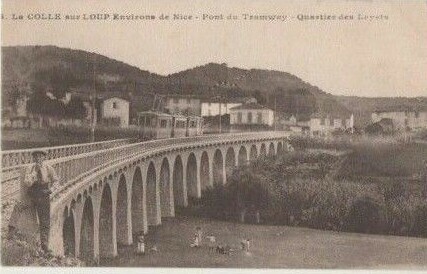 This entry was posted in Railways and Tramways Around Nice, Railways Blog on November 25, 2017 by rogerfarnworth.